When Lynky announced its Home Intelligence Hub last year, making it the first Google Assistant-integrated touchscreen smart home hub to be revealed, our interest was piqued. Although the company opened up pre-orders via Indiegogo, it didn't raise a ton of cash. Nonetheless, Lynky is soldiering on, further expanding its product line with two new complimentary smart home accessories: the Go Button and Go Sensor. Amazon may have been first to the touchscreen assistant punch with the Echo Show, but there's compelling evidence to suggest that Google is readying a Home device with a display, too. 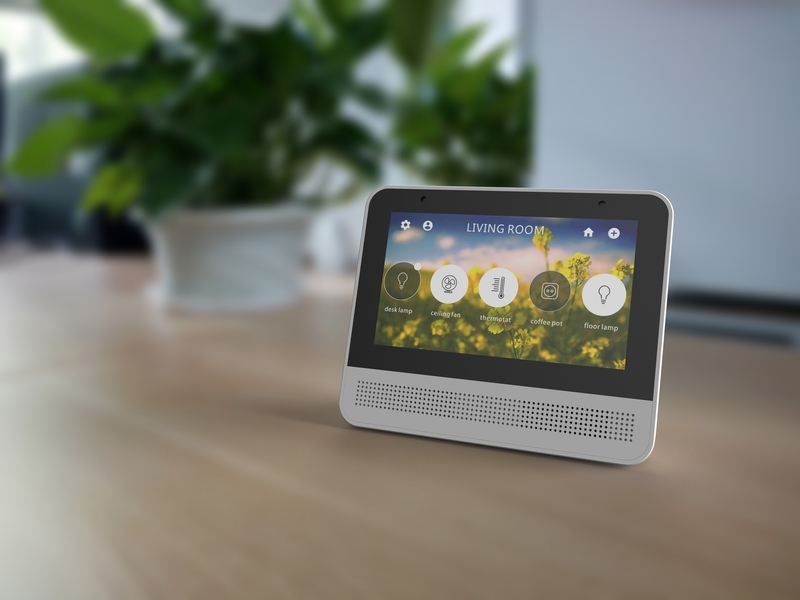 In the meantime, another company is offering the first Google Assistant-enabled touchscreen home hub, and it's called Lynky. The diminutive device includes a 5" multi-touch display, with two far-field microphones and 2W stereo speakers. Two versions are available. One can sit on a flat surface and is powered by USB. The other is to be mounted to a wall where it can be hooked up to pre-existing light switch wiring.